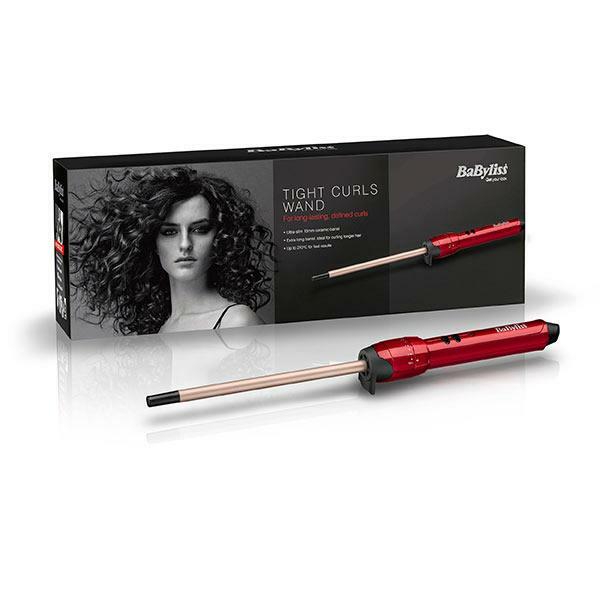 Create the perfect spiral curl with the Tight Curl Wand from Babyliss. The ultra-thin 10mm carrel is extra-long to allows you to curl the longest of locks with easy while leaving your hair super shiny. You can have curls so tight that even Beyonce would be proud of, or brush them out for a modern softer look. The wand heats to 210 degrees and includes a heat mat and protective glove.